The seven penitential psalms are numbered 6, 32, 38, 51, 102, 130 and 143 (links lead to selected blog posts; 6, 38 and 102 do not feature in the RCL). Why a separate page for this set of psalms? Not because of a focus on penitence and lamentation, though these have their place. Rather, it provides another lens through which to review the extensive content, style and history of the psalms. History. These seven psalms were first called ‘penitential‘ or confessional in the 6th century CE. Psalm 51, the fourth in the group, was the first to be so-called according to The Nuttall Encyclopaedia. 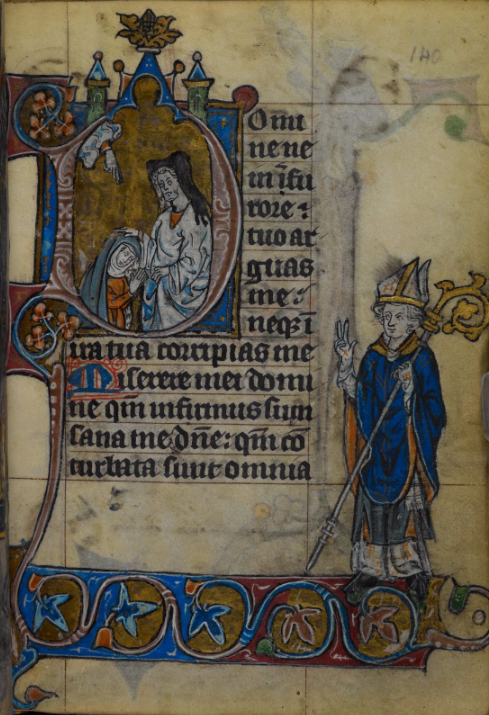 St. Augustine of Hippo in the early 5th century recognised four as ‘penitential psalms’. The fifty-first Psalm (Miserere) was recited at the close of daily morning service in the primitive Church. Translations of the penitential psalms were undertaken by some of the greatest poets in Renaissance England. What is the collective noun for a collection of the Penitential Psalms? A pen, a pinch, pack, pouch, pluck, pocket-full or penn’th of Penitentials? It’s certainly not a pride, preen or prance. Given that one of them is Ps. 130 Out of the depths, perhaps it’s a Plunge of Penitentials. Let’s stick with Pen. Psalm 32 Beati, iniquitatis by Giovanni Croce (1557-1609), in two parts and again for six voices. The motet begins sedately but becomes more urgent and antiphonal at various points according to the text — which in fact diverges considerably from that of the psalm. Psalm 51 Miserere mei Deus. A nice setting by Giovanni Gabrieli of this popular centre-piece of the Pen of Penitentials. Psalm 130, De profundis clamavi. This Lassus motet is from his major collection of the Pens, with a short motet for each verse, described below. Psalm 143 Domine, exaudi orationem meam, Melchior Franck (1580-1639) writing for three choirs, twelve voices in all, creates a mobile and reflective imagery for this final Pen. 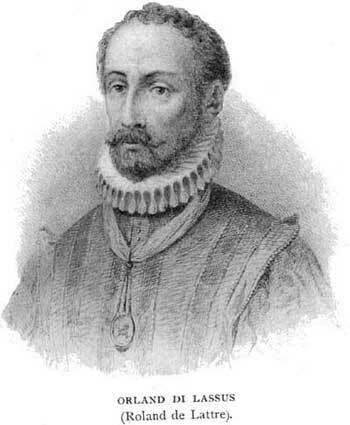 Roland de Lassus, (1532-1594) or Orlando di Lasso as he was known in Italy where he spent some years, was one of the towering composers of the late Renaissance in 16th century Europe. His mastery, breadth and sheer productivity made him famous in his time. Dynamic and emotional by nature, Lassus in his music strove for an engaging rhetorical, pictorial and dramatic interpretation of the text. — all marvellous composers and amongst your webmaster’s favourite fruit. A Walloon born about 1532 in Franco-Flemish Mons, now in Belgium, he became a fine chorister at an early age. Such was the beauty and purity of his voice that he was reportedly kidnapped three times, the last excursion finding him employed in the courts of Italy where he then learned his trade. By the time he left Italy for Antwerp in his early twenties, he was already publishing books of chansons, madrigals and motets. Another decade of fine composing and singing brought him recognition and, by 1564, to Munich, where he spent the rest of his fruitful life. The listing of his compositions and publications is staggering. We now look at three of Lassus’ settings for two of the psalms, 51 and 105. Psalm 51 is widely used during Lent. It seems to have attracted musicians like bees to honey. Even our familiar book the Psalms for all seasons excels itself and produces more that a baker’s dozen of songs just for this psalm. Miserere mei Domine: a later much shorter motet in four voices; we presented this on both 15 and 22 March 2014. Miserere mei Deus, in Psalmi Davidis poenitentiales. Lassus, Penitential primus. Click to enlarge. Google books. This longer work, published in 1584 but written much earlier, is the more famous one. The full work, including all seven penitential psalms, is set mainly for 5 and 6 voices but includes motets for 2 or 3 voices. Lassus’s setting of the seven Penitential Psalms of David (Psalmi Davidis poenitentiales) is one of the most famous collections of psalm settings of the entire Renaissance. The counterpoint is free, avoiding the pervasive imitation of the Netherlanders such as Gombert, and occasionally using expressive devices foreign to Palestrina. As elsewhere, Lassus strives for emotional impact, and uses a variety of texture and care in text-setting towards that end. 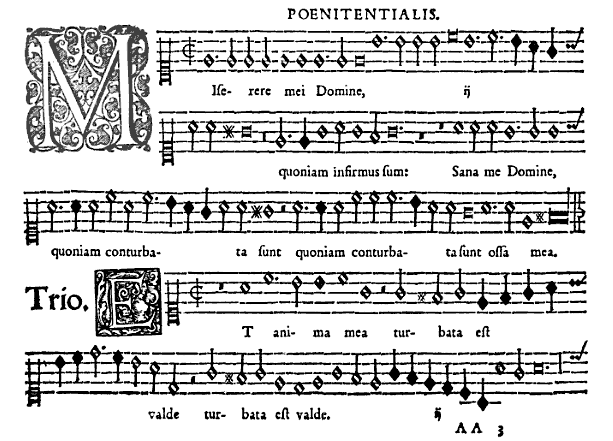 The final piece in the collection, his setting of the De profundis (Psalm 129/130), is considered by many scholars to be one of the high-water marks of Renaissance polyphony, ranking alongside the two settings of the same text by Josquin des Prez. Interestingly, there are not seven but eight long pieces in Lassus’ full set, one for each of the eight modes in use in early times. (The modes were defined by the tonal range, the main chanting note and the final — all very complex.) The eighth was a combination of two psalms of praise (148 and 150) to complete the set. Each verse of each psalm receives a separate short motet, making in all 136 pieces that could be sung separately. Modern performances fill two CDs; try this lovely extract by the Collegium Vocale Gent. Psalms 1 to 4 (the fourth is Psalm 51) first appeared in a choirbook, a private richly decorated court manuscript in Munich in 1559. The full set, together with an eighth combination of two Laudate psalms, was published in 1584 to wide acclaim by Adam Berg, Lassus’ printer. This full score of each voice part as originally printed is now in the Bavarian State Library in Munich and available on Google books here>. A modern transcription is available, Ed. Charlotte Smith, Delaware Press 1983. The shorter piece on the same text but à4 was published the following year. At less than three minutes in duration, this one lasts only one tenth of the major work. 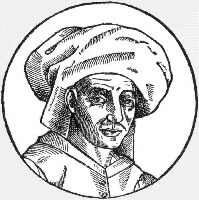 Amongst many settings of scriptural texts, Lassus’ set of 7 penitential psalms is highly regarded. However, it is his relatively obscure arrangement of Psalm 105 that attracted attention for performance at South Woden. This is a beautiful work for five voices, a combination used often in that period but infrequently within our grasp. During 2014, selections from the psalm appeared no less than four times. So we characterised this a season of dipping into Renaissance music. We presented the Lassus work in Latin, the people responding in the same language. The tenor enters with a statement of the first phrase. A common practice of the era was to have the melody in the tenor voice; old hymn books included special settings of psalms as ‘Fauxbourdon’ versions, the tenor being the leading voice. Sometimes this melody was a quote or based on a well-known tune from the standard church tones of those and earlier days. Other voices enter in sequence repeating the same phrase in imitation. This psalm, which we sang back in August 2012, is another song of ascent (psalms 120 to 134). It’s also the sixth of seven penitential psalms. 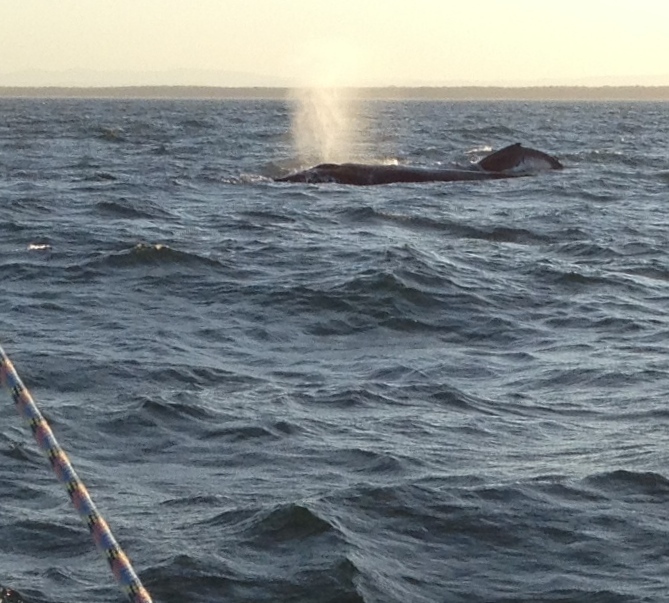 Out of the depths I cry to you O God. Hear my voice, incline your ear to my supplications. Out of the depths surely adds a new dimension to ‘ascent’. The poem recognises that despite our efforts and capacity for good, we will never reach divine standards in behaviour or nature. The psalmist just waits, ‘more than those who watch for the morning’, trusting the divine power will bless with hope (v. 5), love (v. 7) and redemption for Israel (read ‘the people’; vv. 7, 8). Music. Verse 1 delivers such a strong image that it features prominently in many of the songs and antiphons associated with Psalm 130. In SWUC hymn book, TiS No 81 for Psalm 130 begins the verses the same way, but chooses the theme of mercy and redemption for the antiphon. It’s quite a nice setting and should not be overlooked. Following a recommendation by Isaac Everett in The Emergent Psalter, we have often used a folk-style song Out of the depths I cry to you O Lord, by Sinead O’Connor. This sample of a few setting of the Penitentials demonstrates how seriously composers have taken the informal grouping. While they can be restrained in tone, there is no reason why we need to resort to sack-cloth and ashes every time we sing them. Many songs exhibit a tone more of wonder and thankfulness than despondency.